The statement made by Naftogaz of Ukraine that the court in Zug, Switzerland, resumed arrest of Gazprom’s shares in Nord Stream AG and Nord Stream 2 AG is not consistent with the reality, the Russian gas holding said on Thursday. According to Gazprom, on June 29, 2018, the Swiss court only suspended exclusion of Nord Stream and Nord Stream 2 AG shares from the list of assets subjected to injunctive remedies, prepared by court bailiffs. 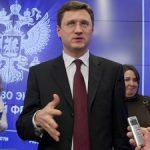 “Exclusion of shares is suspended for the period for consideration of the statement of Naftogaz of Ukraine that disputes actions of court bailiffs,” Gazprom said. 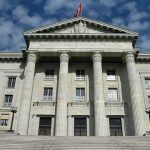 The court of the Canton of Zug issued a ruling on May 29 regarding the injunctive remedies applying to Gazprom’s assets in Nord Stream and Nord Stream 2 AG upon the application of Ukraine’s Naftogaz attempting to enforce the decision of Stockholm Arbitration. However, the bailiffs of the Canton of Zug made a conclusion after visiting offices of Nord Stream and Nord Stream 2 AG that shares are not in corporate offices and cannot be arrested, and excluded securities from the list of assets to be seized. Naftogaz of Ukraine said the day before that the court in Switzerland resumed the arrest of Gazprom’s shares in Nord Stream and Nord Stream 2 AG. Gazprom and Naftogaz of Ukraine plunged into a litigation over gas supplies and transit contracts with the Arbitration Institute of the Stockholm Chamber of Commerce back in 2014. Gazprom is demanding more than $37 bln from the Ukrainian company for gas under the take-or-pay clause for 2012-2016, for the payment for gas supplied in May-June 2014 and gas debts. In December 2017, the court ordered Naftogaz to pay Gazprom $2 bln for the deliveries, but reduced the annual contractual volume of purchases to 5 billion cubic meters. At the same time, the “take or pay” condition was preserved for 80% of this volume. This condition will be effective only in 2018. As for the gas transit contract, in February 2018, the Stockholm court ruled that Gazprom’s obligation will remain (110 billion cubic meters per year). The Russian company should also pay $2.56 bln to Naftogaz for the shortfall in transit volumes. In March, Gazprom returned Naftogaz prepayment for the March deliveries and notified the Ukrainian company that it was going to start the procedure of termination of contracts. This procedure can take 1.5-2 years. Gazprom CEO Alexei Miller noted that, guided by double standards, the Stockholm court took asymmetric decisions, which significantly violated the balance of interests of the parties under the agreements. 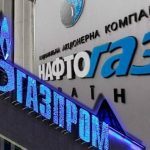 In April, Naftogaz announced that it was starting the procedure for compulsory execution of the Stockholm court’s decision on the dispute with Gazprom in Europe and was preparing a new claim demanding compensation for losses caused by non-execution of the arbitration decisions by Gazprom. 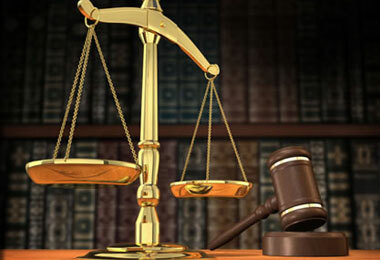 In late May, Gazprom send an application for complete reversal of the decision taken by the Stockholm Arbitration in the dispute between Gazprom and Naftogaz of Ukraine over the gas transit contract to the Svea Court of Appeal. 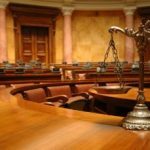 The conclusion of the expert linguist on the authorship of the arbitration decision on transit is a new evidence of serious violations of the Swedish law and arbitration regulations of the Stockholm Chamber of Commerce in consideration of this case, providing grounds for its complete reversal, Gazprom noted.